I'm the flip, i never really got Drag Racing. I still go to Bristol and Richmond every year and love it. My dad used to watch alot of Drag Racing, he always pulled for Joe Amato or Kenny Bernstein. I'm a big fan of the Force family but I like lots of others too. I've been to Bristol for the races and it was fun, I just didn't really get into it. 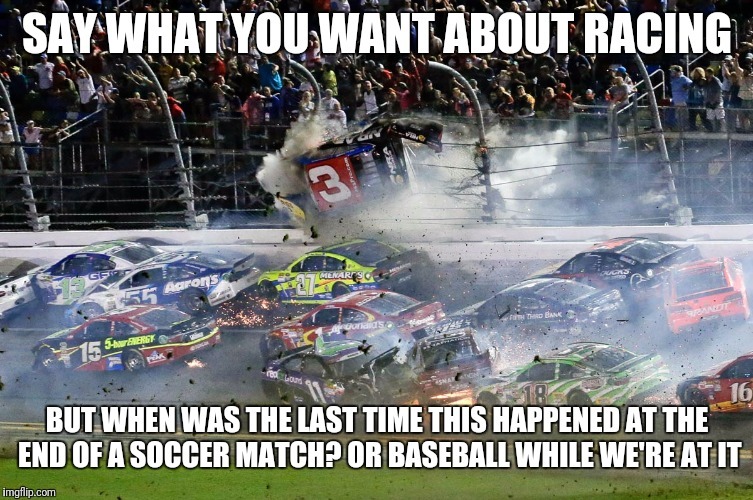 I also love dirt racing, so maybe it's an assault thing with me. Lol might be. Bristol was killer before they repaved it and lost 5 or 6 degrees in the corners. 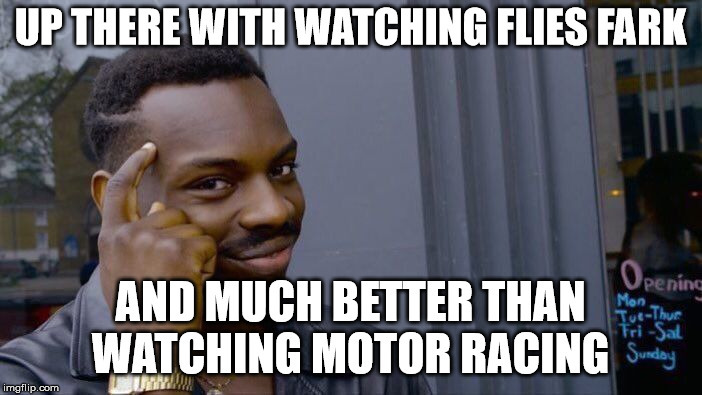 I'm hoping to take my son to 35 Raceway (my local dirt track) this summer see if i can't get him hooked before the internet gets ahold of him. Assault thing? I meant asphault. Damn autocorrect. I got my daughter hooked on dirt and drag at an early age. When she was a little girl she would put on her safety glasses and stand downwind so she could catch the dirt. It was awesome. I beg to differ. There’s nothing more exciting than watching Spain getting their asses kicked. Baseball is no better. "Here's the pitchers signal... Annnd... No wait he's fixing a wedgie"
Even in baseball they typically score more. Any sport that can end in a tie is a crappy sport. Pay money to watch a game, watch a team I love, and it ends in a 0-0 tie. Brilliant. What a strange thing to say, but I guess that is why Americans have three sports the rest of the world does not play, whereas football and the other major sports are played by most of the world. 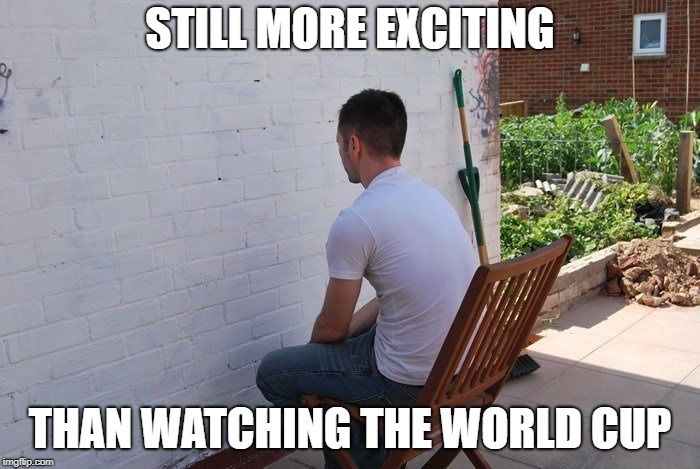 Doesn't matter how many countries it's played in, it's still boring. I mean, even the Hispanic announcers have to try and wake people up. Gooooooooooooaaaaaaalllllllll!!!!!! but my names Guido !